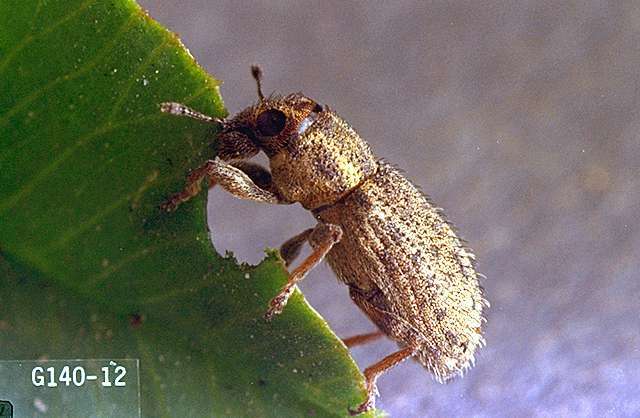 Pest description and crop damage Adults are small grayish weevils about 0.17 inch long. Larvae feed on fibrous roots and chew cavities in main roots. Plowing out and rotation with a cereal crop helps control this pest.